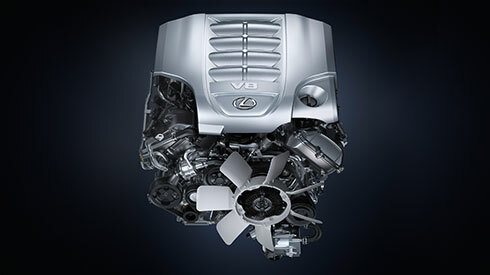 The dynamic V8 engine generates impressive power to tackle very demanding off-road conditions. The cylinder block is die cast in lightweight yet strong aluminum alloy, providing outstanding reliability and durability. The engine combines seamlessly with the super intelligent 8-speed automatic transmission (8 Super ECT) to deliver power smoothly and efficiently. The Multi-mode Automatic Transmission and addle shift switches enable manual shift changes for exhilarating sports driving pleasure. 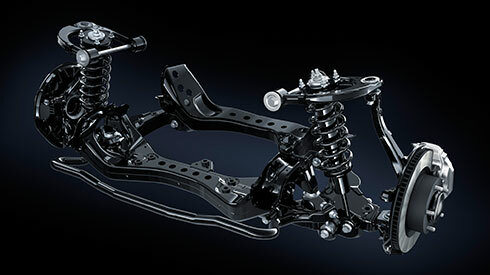 The immense strength and outstanding rigidity essential to peerless off-road performance are the products of an exceptionally strong frame made with extensive use of high-tensile steel. 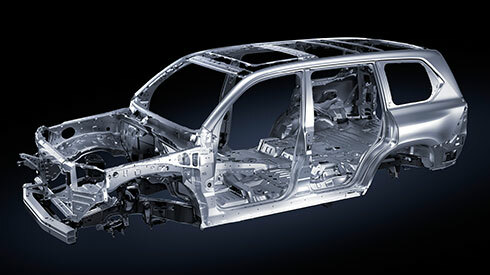 In addition to outstanding off-road performance, it helps make the LX a robust and safe vehicle. 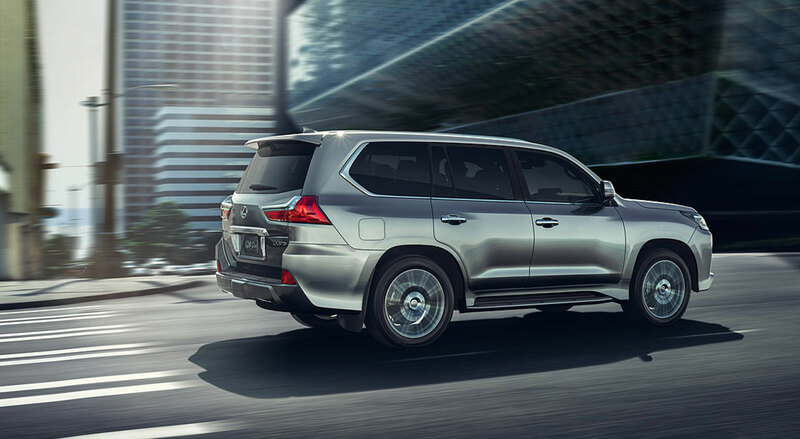 Various refinements including a large rear spoiler and aero stabilizing fins enhance aerodynamic performance, contributing to excellent straight-line stability and outstanding road holding. The high-mount, double wishbone front suspension and 4-link rigid axle rear suspension contribute to the excellent handling, stability, and steering response, heightening driving pleasure. 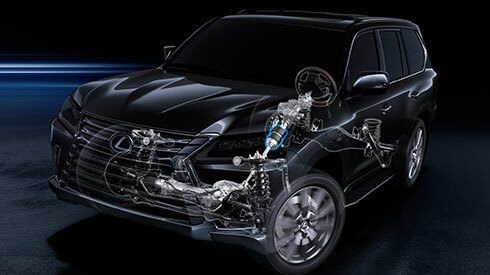 Optimizing the individual components including the coil springs, spring rate, and shock absorbers realizes luxurious ride comfort both on-road and off-road. A-TRC helps enhance the ability to grip the road, especially when starting off or accelerating on uneven or slippery surfaces. Corrective measures are applied the moment the risk of wheelspin is detected, to help maintain traction. 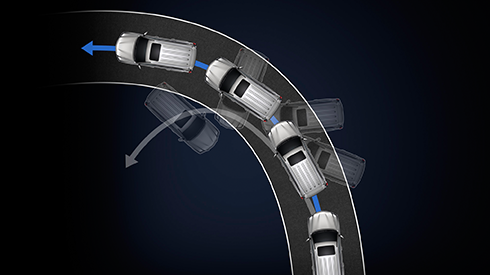 VSC helps prevent the loss of vehicle control, particularly when cornering quickly or at the onset of a skid. 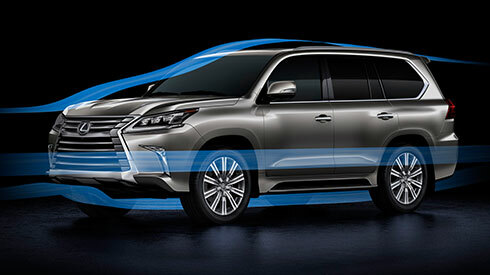 Selective application of the brakes and/or reducing power helps to enhance stability and reduce vehicle speed. 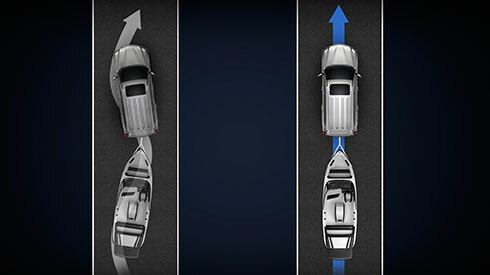 The Multi-terrain ABS (Anti-lock Brake System) senses driving conditions on dirt or sand, and optimizes ABS control for excellent stopping performance on different road surfaces. EBD (Electronic Brake force Distribution) helps to optimize the application of braking force to each wheel. 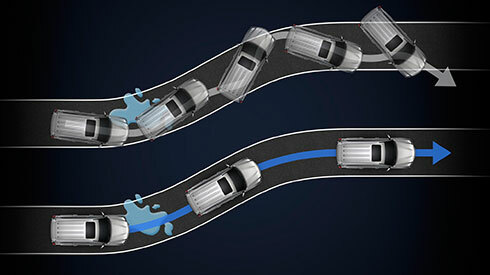 When starting off on a slope, Hill-start Assist Control automatically maintains brake pressure to help prevent the vehicle from slipping backwards. 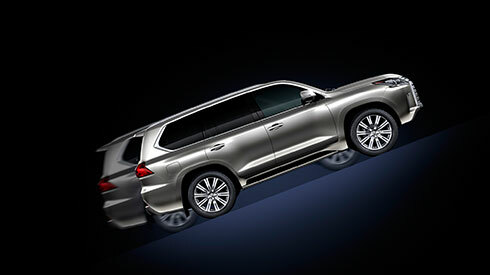 It works both on-road and off-road to help reduce driver fatigue. 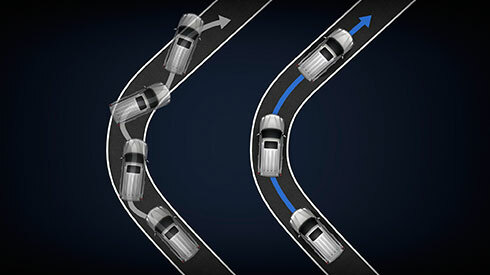 When towing a trailer, the system detects trailer sway triggered by wind, bumpy roads, or steering operation, and helps to suppress it by controlling braking and engine output. VGRS optimally controls the steering gear ratio in response to vehicle speed and steering input, helping to realize excellent maneuverability and stability from low through to high speeds.